Weeee! I’ve been offline for 14 days and it’s felt so good. The only thing I’ve missed is YOU! 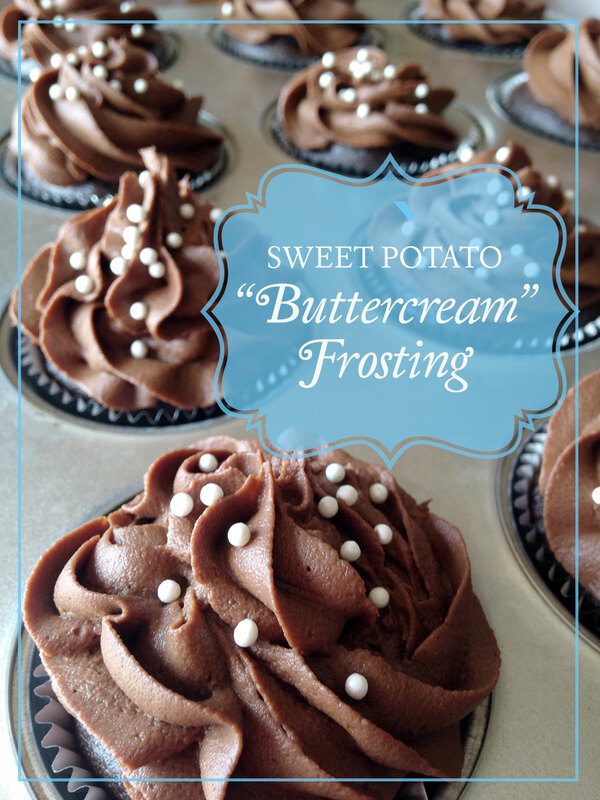 Way back in April when I shared a batch of pretty white gluten-free cupcakes this Sweet Potato Buttercream Frosting was one of the icings I decorated them with. It’s a stellar vegan recipe—just as stellar as the woman who created it. If you’ve struggled with candida and turned to the internet for support and education, you’ve likely come across Ricki Heller’s site. Ricki pours her heart and soul into helping people kick candida without giving up all sweets. This Candida Stage 3 (that’s when you’re allowed to add back in low-glycemic sweeteners) Sweet Potato Buttercream Frosting is divine. Find the recipe in Naturally Sweet and Gluten-Free and here on her site. The fact that it pipes on beautifully is a total bonus! Thank you for a winner, Ricki! Great to hear that you’ve had some time off! Feels great, doesn’t it? I’ve been trying to take a full day off each weekend and it’s been terrific–I come back on Monday feeling so much more energized. Lexie, that looks so yummy. I would definitely love to share this on Affimity’s Food channel here : http://www.affimity.com. It would be our pleasure if you could share some recipes on Affimity. Could I have just found my culinary nirvana? I adore sweet potatoes! I’m heading over to Ricki’s site! Thank you to both of you!